Sheryl Sandberg has inspired many by speaking openly and candidly about dealing with her husband's death. Now she's looking to go one step further. Sandberg, the COO of Facebook (FB), is working on a new book called Option B, which combines her personal story with others to focus on "building resilience and finding meaning in the face of adversity," according to a description online. Liz Bourgeois, a spokesperson for Sandberg, confirmed the book, but declined to comment on the specifics. The news was first reported by Re/code. Dave Goldberg, Sandberg's husband and the CEO of SurveyMonkey, died suddenly last May while the family was on vacation in Mexico. He was 47. Sandberg was forced to balance her grief with the responsibilities of raising two kids and serving as one of the top execs at one of the world's most valuable companies. "Option B is about how we can face the adversity in our lives, find meaning and bounce back stronger," Adam Grant, a professor at Wharton, who is co-writing the new book, said in a Facebook post on Friday. "Along with sharing how we can all become resilient, we explore what it takes to help others through hardships," Grant wrote. That includes "how to speak about the unspeakable, comfort friends in the wake of suffering, and create resilient workplaces, build robust marriages, and raise strong kids." 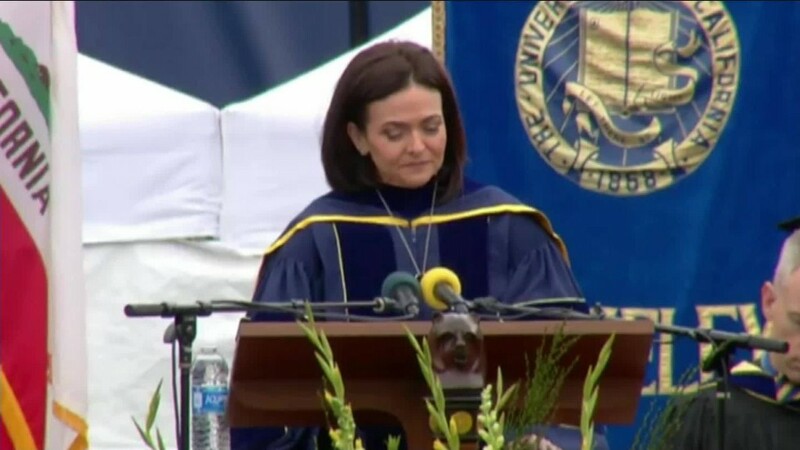 Sandberg's first book, Lean In, kicked off a movement to help women succeed in their careers. More than two million copies of the book have been sold since its 2013 debut. The latest book's title is a reference to an anecdote she has told repeatedly since her husband's death last year. "A few weeks after Dave died, I was talking to my friend Phil about a father-son activity that Dave was not here to do," Sandberg said in a commencement speech in May. "We came up with a plan to fill in for Dave. I cried to him, 'But I want Dave.' Phil put his arm around me and said, 'Option A is not available. So let's just kick the s--- out of option B.'" The month after her husband died, Sandberg began posting updates to her Facebook page about facing grief and moving forward. "Many of my co-workers had a look of fear in their eyes as I approached. I knew why—they wanted to help but weren't sure how. Should I mention it? Should I not mention it? If I mention it, what the hell do I say?" Sandberg wrote in an early Facebook post about her transition back to work. "I realized that to restore that closeness with my colleagues that has always been so important to me, I needed to let them in. And that meant being more open and vulnerable than I ever wanted to be." Sandberg appears to be continuing that open approach with the book.